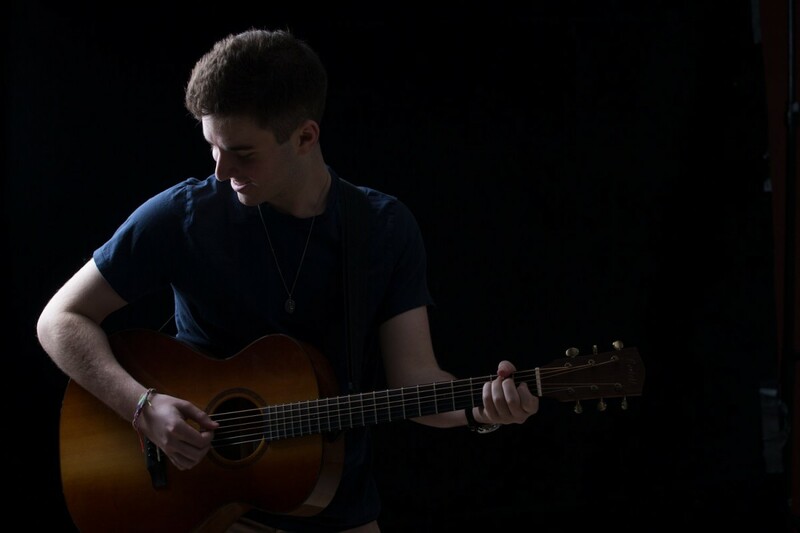 UMass Lowell student Andrew Marshall has been making quite a name for himself across Massachusetts as an up-and-coming singer-songwriter. The hardworking music-business major has fully immersed himself in his craft during his time so far at UMass Lowell. With an array of live gigs and an original EP already under his belt as a college sophomore, Marshall is no stranger to the stage or the studio. Already having a footing in the music industry via his own efforts, he was invited to New York for the chance to bring his talents nationwide on one of America’s highest-rated talent competitions. Andrew was gracious enough to share both his audition experience as well as a little insight on who he is as a performing artist. I think ultimately seeing my first theater production when I was younger drew me to performing. I saw my friend in this weird musical called, “The Bard Is Back” and immediately started doing theater at that youth company. Besides that, I was always a fan of music in school through the bands and choruses, and it was such an exciting thing to start learning an instrument in the fourth grade. It felt like a rite of passage when I was younger and just grew from there. I felt like I could sing okay and do what everyone else was. What do you consider to be your personal music style? I’m definitely a singer-songwriter. I like to write from the heart and connect with my audience through my performance. How long have you been performing? Have you ever competed before? I’ve been performing since I was younger at talent shows and what not, but I began performing consistently the summer before I entered college by playing at restaurants and other events around the area. With so many other methods of getting yourself out there, was there a particular reason that prompted you to choose American Idol? I actually was asked to audition for American Idol. I wouldn’t have auditioned otherwise. A friend of mine knew one of the talent scouts from the show and got me in contact with them as they were looking for people to audition. What song did you choose to audition with and why did you choose it? I auditioned with “Sunday Morning” by Maroon 5, “Feel Your Love” (an original), and finally “Hallelujah” a cappella. “Sunday Morning” is a song I knew I wouldn’t mess up as I’ve played it countless times. “Feel Your Love” was to showcase my ability to write and “Hallelujah” was a slow ballad I thought could showcase my voice well. What was your overall audition experience like? It was interesting. I arrived in New York and went to a hotel, where in the basement were the auditions. I definitely saw some interesting performers, and the amount of people practicing feverishly beforehand was unreal. The fact that everyone was so anxious made me really calm and [kind of] made the whole process seem less of a big deal to me. As someone that performed a lot, I knew my sound and my style and just went in and did that exactly. I went in and sang a verse and chorus from all three songs in front of producers where I was given a “golden ticket” and asked to wait outside. Later all the “golden ticket” contestants were recruited in a room where they recorded us [doing] our songs again, [and we] were interviewed individually about our stories and what not and then asked what potential date we would be available for granted we went through. When it was my turn, I told my story and the producer was adamant on me going to the next round saying, “Plan on going to one of these.” I was told to wait a few days for an answer. Weeks later I emailed the producer, and he finally responded another week after that saying they had passed on me. Hashtag sad tweet. Hashtag sad tweet indeed. Although we won’t have the chance to see Andrew perform on the small screen, there will be plenty of opportunities to see him perform on stage, as the ambitious college student is planning on a tour for the summer of 2019. If you cannot wait until then, Andrew’s EP “Letters From Lowell” is currently available for streaming and download on Spotify, iTunes, Apple Music and Google Play. As for Andrew himself, he plans to continue exploring new styles, developing his songwriting process and continuously growing as an artist.